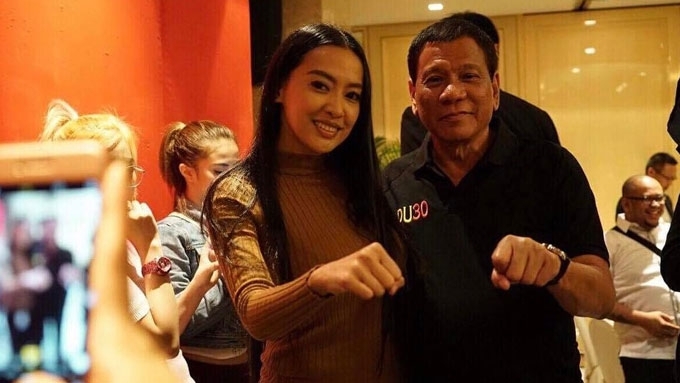 What exactly is Mocha Uson tasked to do in the Duterte administration? 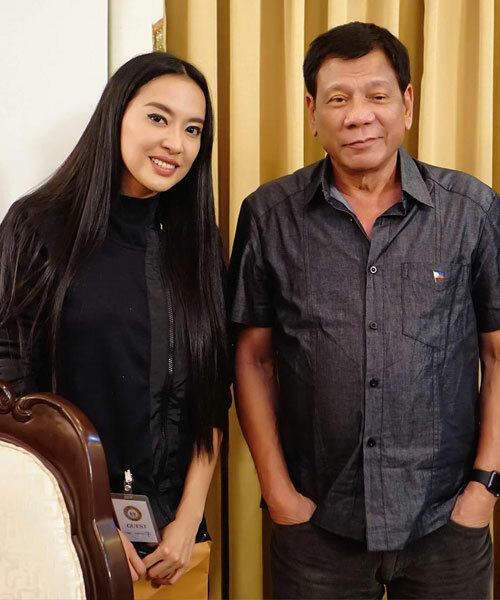 Celebrity blogger Mocha Uson is designated to broaden, widen, expand the reach of government in social media, her bailiwick. 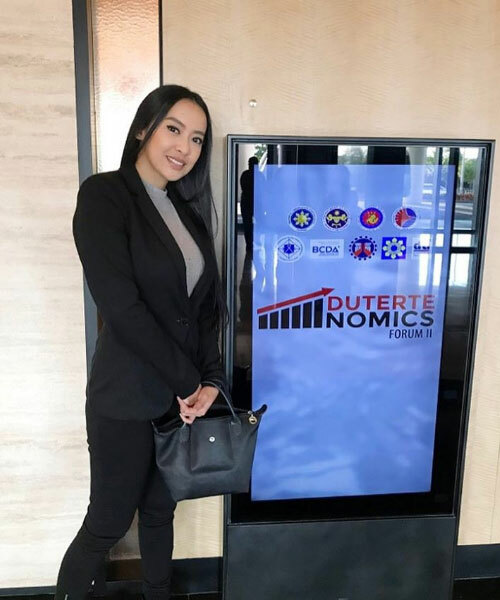 Mocha Uson is a social media maven, a credential that led to her appointment as Assistant Secretary for Social Media, a new post created specially for her in the Presidential Communications Operations Office (PCOO). Her post engagements so far are hovering around 1,400,000. Although Mocha is not on the list of the TEN MOST LIKED FEMALE CELEBRITIES ON FACEBOOK, she can be counted among the political personalities in the Philippines with strong Facebook engagements. Post engagements are measured based on the combination of Facebook likes, comments, and shares. Which means she is actively interacting with a great number of people online, she has their attention. And every opinion she posts on her blog, every comment she makes in response to a query, appears in their timeline or is re-tweeted; thus, exponentially increasing its visibility in social media. IMAGE Cyrus Panganiban for YES! On May 8, 2017, Mocha officially joined the Duterte administration as Assistant Secretary for Social Media. Given her influence online, her desk in Malacañang is seen as an extension of its official media channels, thereby ensuring transparency and quicker dissemination of information to the grassroots levels. His text further reads, "Being a former OFW [Overseas Filipino Worker] herself, she will also communicate the policies of the president to the OFWs through social media." Earlier, on the day of her appointment, the 34-year-old blogger explained her new job to TV5'sAksyonnews. She said, "Dito, naka-focus tayo dun sa mga nais matulungan, yung may maraming hinaing. "At sa social media, dun na nga nagiging sumbungan ng mga kababayan natin, lalo na yung mga OFWs na hindi nabigyan ng pansin noong nakaraang administrayson, ngayon lang nagkakaroon ng boses." 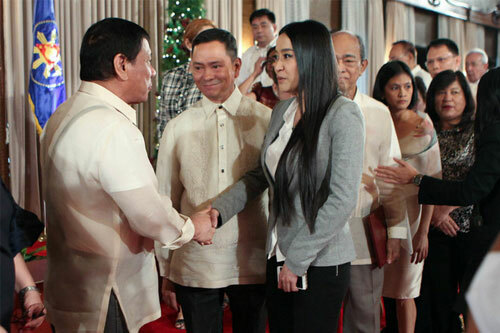 READ: Mocha Uson on being bashed over her new appointment: "Sanay na sanay na tayo diyan." Mocha also said that she will go after fake news. On May 10, she wrote on Facebook, "Ang ating pong tututukan sa PCOO ay ang mailapit ang mga ordinaryong Pilipino sa pamahalaan sa pamamagitan ng Social Media. “At ma-idiretso ang TAMANG BALITA sa ating kababayan sa pamamagitan ng SOCIAL MEDIA." She added, “Samahan po niyo ako mga kaDDS. Panahon na na hindi na tayo umasa sa mga MALING BALITA ng ilang mainstream media at ating palakasin ang SOCIAL MEDIA sa tulong niyo mga tunay na DDS. Mocha’s government post has a salary grade (SG) of 29, which provides for a monthly gross salary of 106,454 pesos, plus allowances and bonuses, under Executive Order No. 201 signed by former President Benigno Aquino III. Dissenting voices broke out in and out of social media, but the President himself was quick to defend Mocha. "There's nothing wrong with the woman or the girl. She's bright, she's articulate. If it's a matter of dancing, she was not dancing naked. "She was with me during the campaign. [She's] a little bit sexier than the other. But that does not prevent anybody to deprive her of the honors that she deserves. "It's just a matter of intellect. 'Yang pagsasayaw niya, hanapbuhay 'yan, e.
"There's no law which says that if you expose half of your body, with shorts and a bra, you're disqualified to [sic] being the president of the Philippines," Pres. Duterte stressed. READ: How many workers can government hire with Mocha Uson's salary?